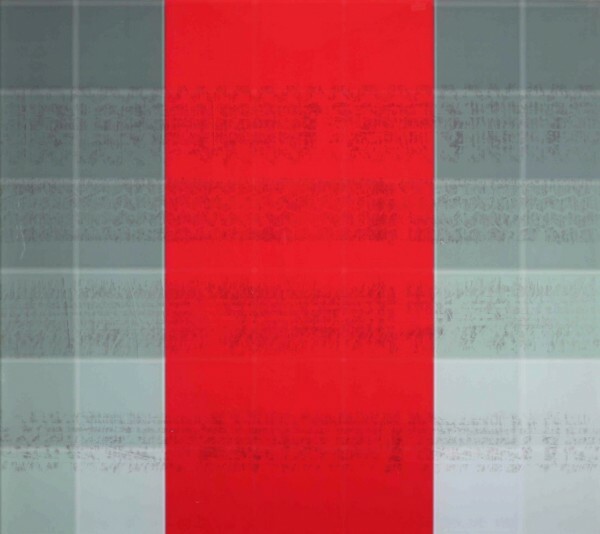 This section of print is the result of enlarging a Google satellite photograph of the actual border-line between Zimbabwe and South Africa, demarcated in red, to a scale of 1:1 with the reality on the ground. 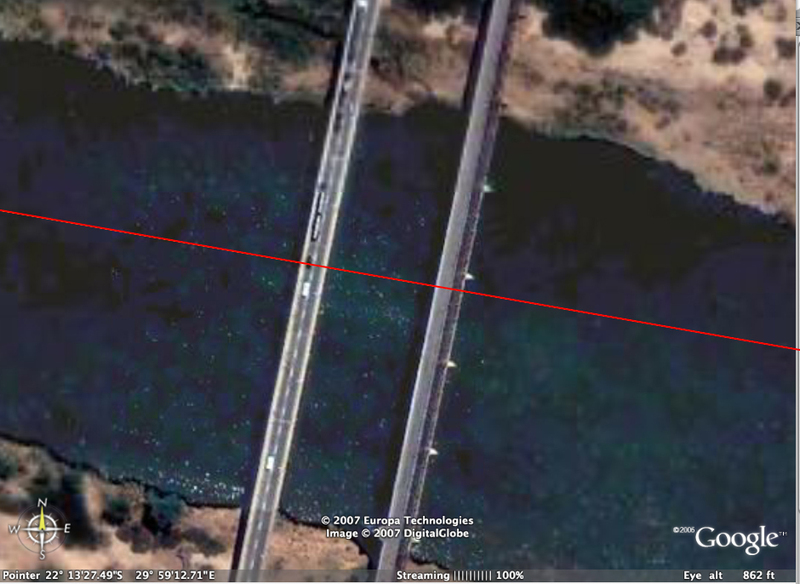 The border cuts through the middle of the Limpopo River and bisects two bridges spanning the river at Beitbridge. At the point where the border-line crosses the bridges these large-scale prints were laid out to correspond with their correct geographical locations. So that if someone were to look at the prints in situ from the Google satellite, they would appear invisible. At this scale each pixel on the original image was increased to about 20 cm in size on the print. Cross-border traffic left its marks on the final work. One of the prints in situ. The print was torn by passing traffic.